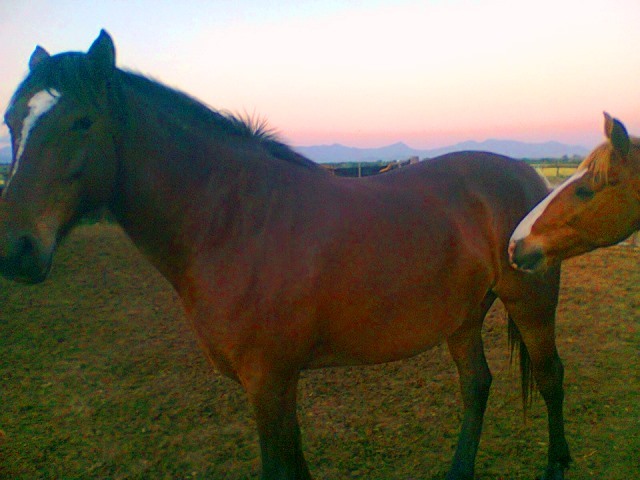 Our latest addition to the herd is a beautiful Boerperd mare called Savanna. Now we’ve got two horses called Savanna. We’ll have to distinguish between the two by adding “lite” and “dry” to their names I suppose. She even chose her favorite amongst the geldings and Tarzan seems to be the lucky one. They’re so in love. He follows her wherever she goes.